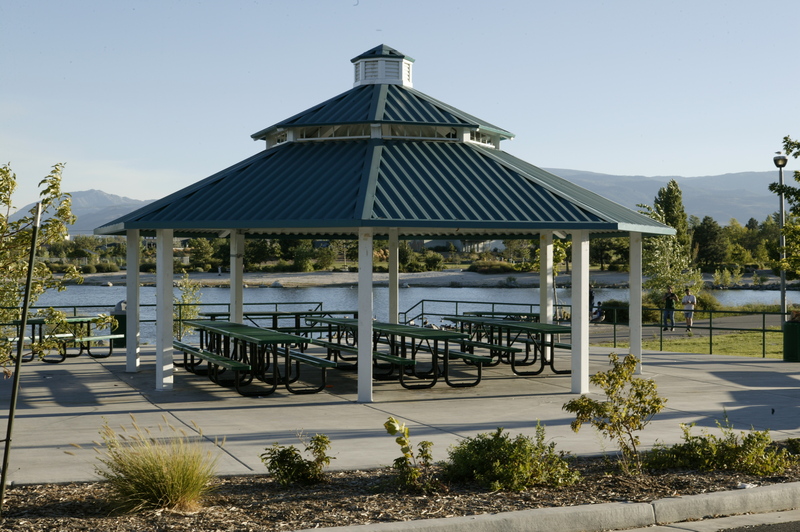 Savannah shade structure model is a stylish octagon with a variety of tiers and great band pavilion. 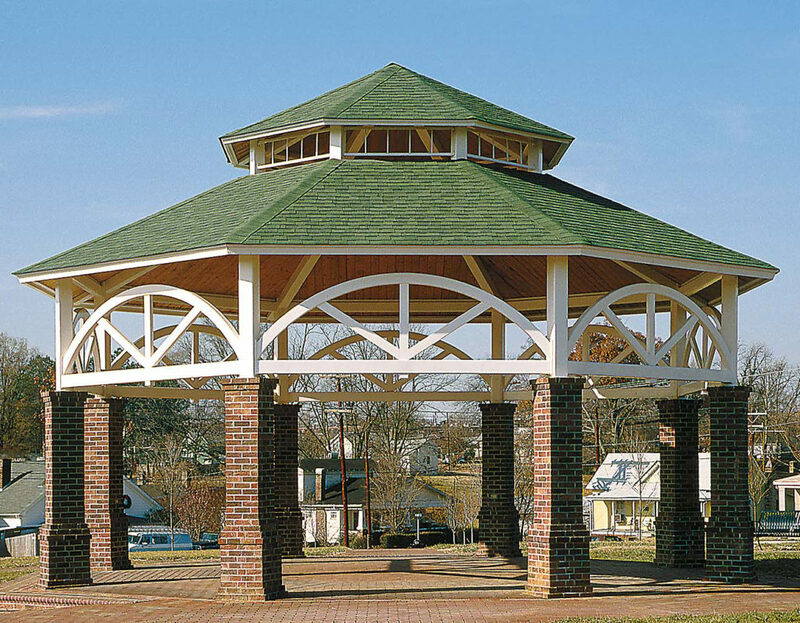 This stylish octagon shade shelter is available in a variety of sizes with two or three roof tiers and/or a New-England-style cupola. Ornamentation and railings are also available. 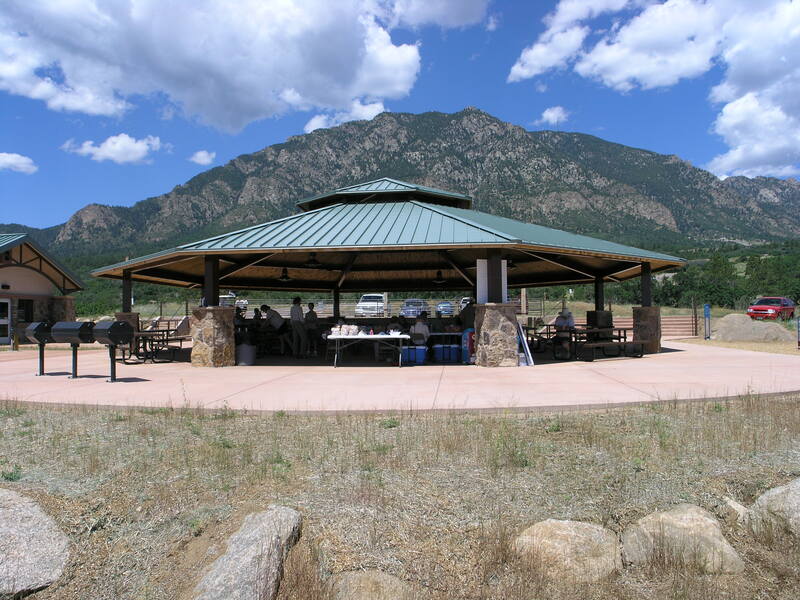 The Savannah shade structure model is particularly pleasing as a central focal point in a park and makes a great band pavilion. • The Savannah shade structure is measured through the center of the structure “point to point” of roof. columns, giving a feeling of Southern hospitality. No field welding is required! Paradise Park, Reno, NV: This 28′ model two-tier structure features a New England style cupola, with HR-36 roof, colored Jade Green.